Joe Letteri has helmed Weta Digital to work on three films with visual effects Oscar nominations in this year’s Academy Awards. 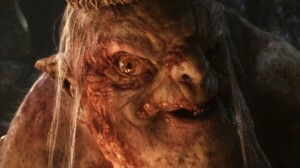 Its work on “The Hobbit: An Unexpected Journey,” is the only film that had all the work done in one place while his team contributed to “The Avengers,” and “Prometheus.” The work done on just Gollum or just The Goblin King would be a great visual effects achievement in any film but it also included Azog and an incredible array of elements. Letteri talked to The Hero Complex recently and the information is good but perhaps a retread for TORn readers. However, the piece also has three making of videos that are outstanding. The three characters mentioned above each get his own showcase and it highlights the talents of Andy Serkis, Martin Freeman and the digital and design team among others. Anyway, the story is right here and of course the visual effects team must be considered strong favorites on Oscar night. And for 2013 they get to tackle a dragon. The visual effects nominees are certainly invited to our big-event party that looks to be simply amazing.